The International Writing Program at the University of Iowa has announced this year’s residents. 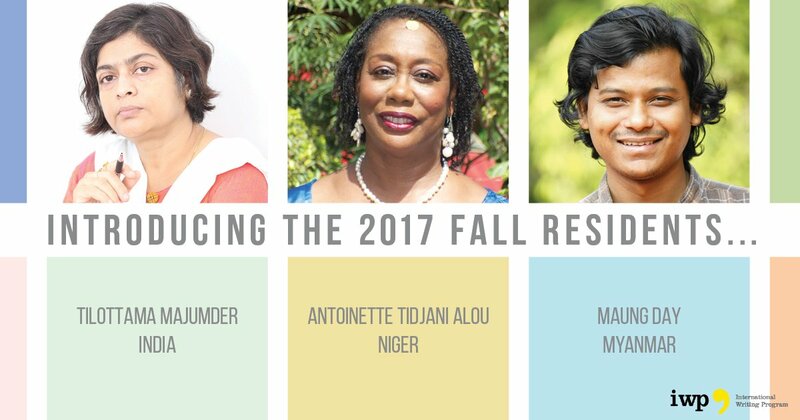 The 2017 residents include authors from Egypt, Pakistan, Zimbabwe, Iraq and Myanmar. Maung Day, poet and visual artist, will be the 12th writer from Myanmar to attend the IWP starting with Tin Maung Than in 1996, followed by now Minister of Information U Pe Myint (1998), Man Asia Literary finalist Nu Nu Yee (2000), U Bala (2001), Kyaw Zwa (2002), Pandora and NLD politician Nay Phone Latt (2012), Zeyar Lynn (2013), NSDP publisher and Yangon Book Plaza owner, Myay Hmone Lwin (2014) and Bones will Crow co-editor Ko Ko Thett (2016).